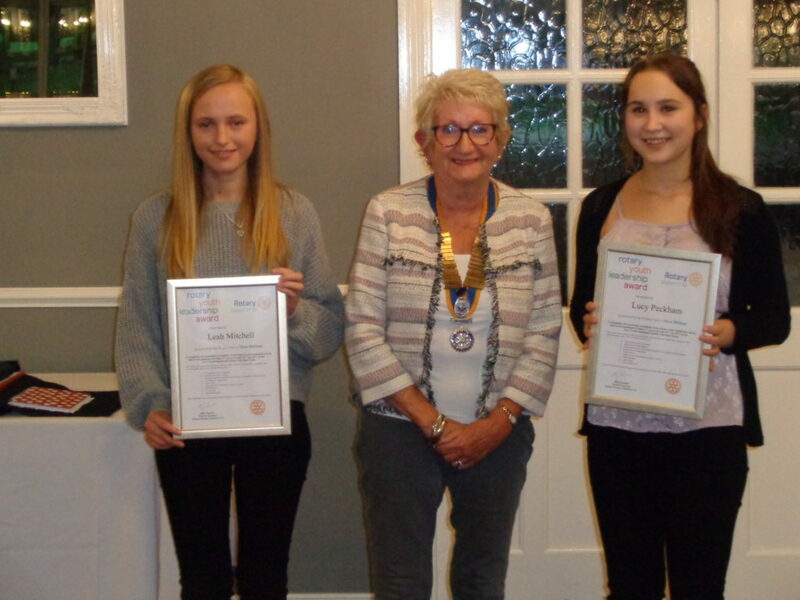 Students Leah Mitchell and Lucy Peckham were selected by the New Milton Rotary club to join the Rotary Youth Leadership Award (RYLA) scheme. Lucy and Leah joined other students from neighbouring schools on a weekend of adventure at Avon Tyrell. New friendships were formed and essential team building skills explored. The girls were then presented with certificates from Rotary at a recent presentation evening, where both students shared experiences and gave a presentation to club members. Mrs Reece said that it was a moving evening to hear how much the students had learnt. The Arnewood School Sixth Form would like to thank the Rotary for their commitment to the project and sponsorship of the scheme and Dr Parkes for her help in setting up the project.